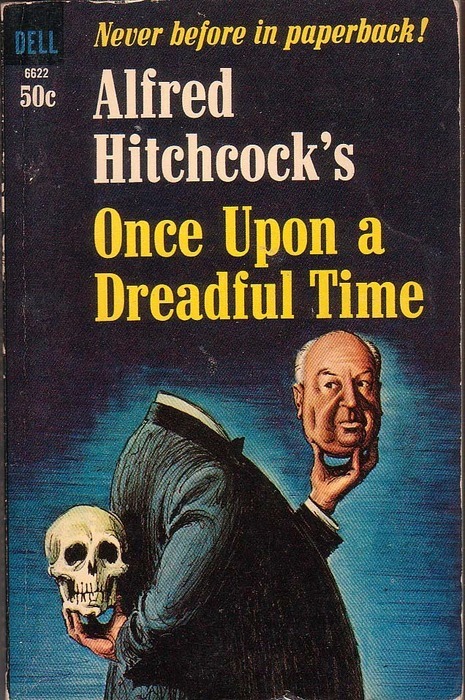 As Regular Shadowplayers may know, I spent 2009 watching all of Alfred Hitchcock’s films, one a week — plus all the TV shows he personally directed for good measure. But for the benefit of any newcomers, I thought I’d link to a few highlights, in honour of For the Love of Film: The Film Preservation Blogathon. If you don’t see your favourite there, that’s ’cause my selection is governed by perversity and whim. But if you search for Hitchcock Year in the SEARCH function to the right, all the entries will appear, in reverse order. Or just type the name of the film you’re after. THE PLEASURE GARDEN. Miles Mander is pretty thin, isn’t he? Allergic reaction to the German language. Hitchcock’s lost film — recreated! Carl Brisson, master of nuance. Sound test for BLACKMAIL — if you ain’t seen it, you need to! A short story by Hitch, visualized by me and Hitch. How to seduce Joan Fontaine. Some of the least known, but most factual, Hitchcock Facts. The underrated THE WRONG MAN. A favourite: The Crimes of Gavin Elster. A TV piece — with video excerpt. Watching PSYCHO with mum and dad. I know, I know! There’s already ONE blogathon going on… bookmark this page, is my advice. But more importantly, click on this thing below, and donate! This entry was posted on May 15, 2012 at 8:59 am and is filed under FILM with tags Alfred Hitchcock, For the Love of Film The Film Preservation Blogathon, Hitchcock Year. You can follow any responses to this entry through the RSS 2.0 feed. You can leave a response, or trackback from your own site. We thank each of you for doing your part for film preservation and hope you will use social media to spread the word about your own posts and the blogathon in general. The more people we reach, the better our chances of reaching our goal of $15,000.